Photos unless otherwise credited, courtesy of Saltdean Lido. 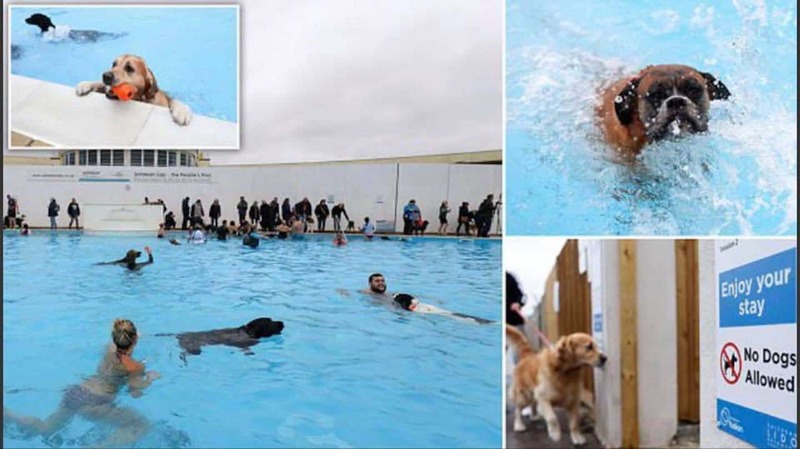 Remember those pictures of all the dogs swimming and splashing at the Saltdean Lido Dog Swim last year for the end of season swim? No, well here’s a reminder to make you smile if you didn’t see it last year. Don’t they look like they are having the best time ever! 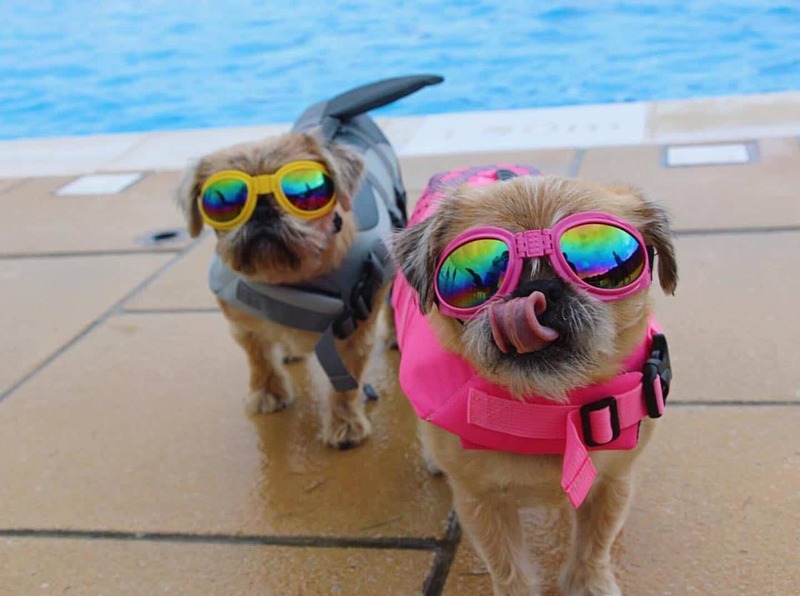 Well, good news…the Saltdean Lido Dog Swim 2018 is back again this year on 15th and 16th September and makes for a pawsome ‘Dogs Day Out’ from London. Last year tickets sold out super quick so it’s no surprise that there are only a few Saltdean Lido Dog Swim 2018 tickets left for Saturday 15th September. At the time of writing this post, there are still tickets for Sunday 16th September for all slots. So be quick if you want to get your paws on some! 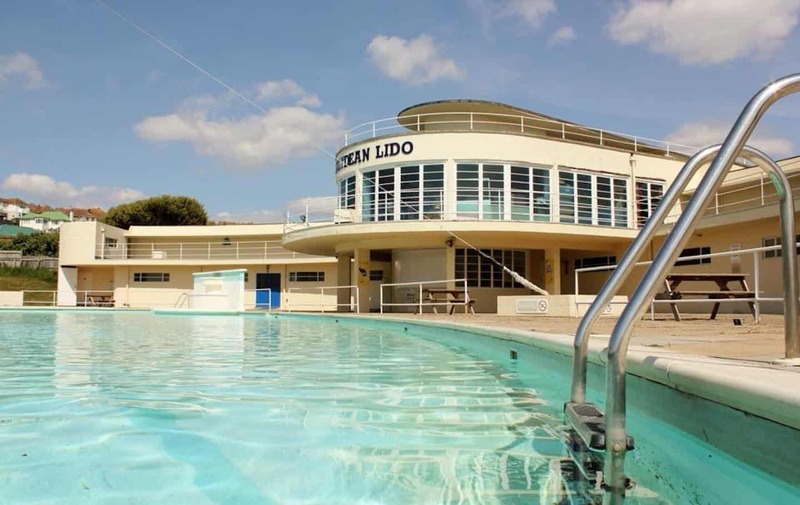 Whether your pup is a super swimmer or a pawsome paddler, they’re bound to enjoy this fabulous chance to swim at this stunning art deco lido. There’s also a kids pool and wet play area for dogs that aren’t confident to go in the big pool. 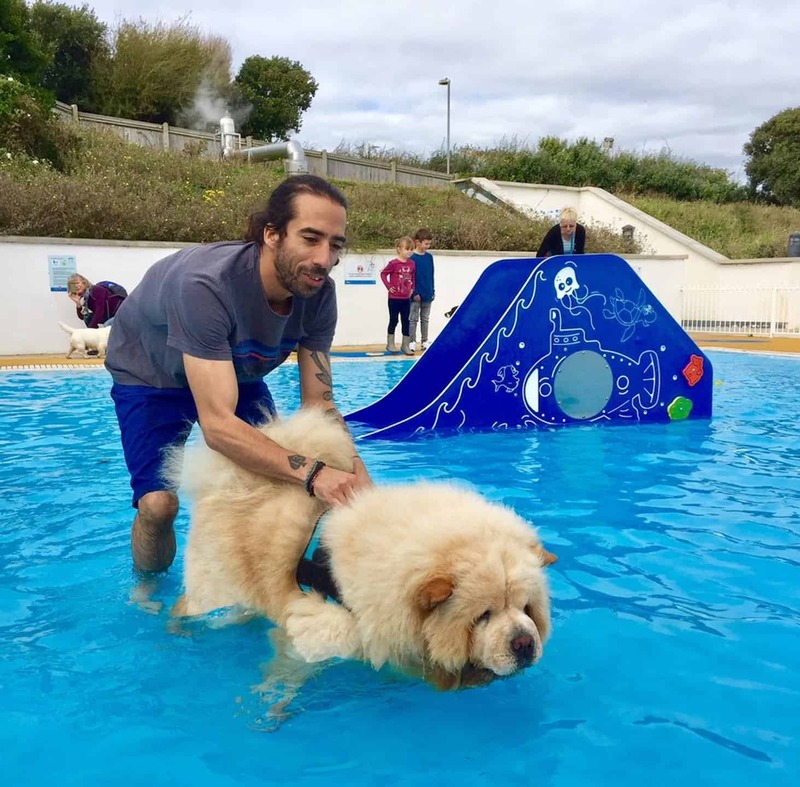 The Saltdean Lido Dog Swim 2018 event is a fundraiser to help with the upkeep of this beautiful pool so you can feel good about that too! 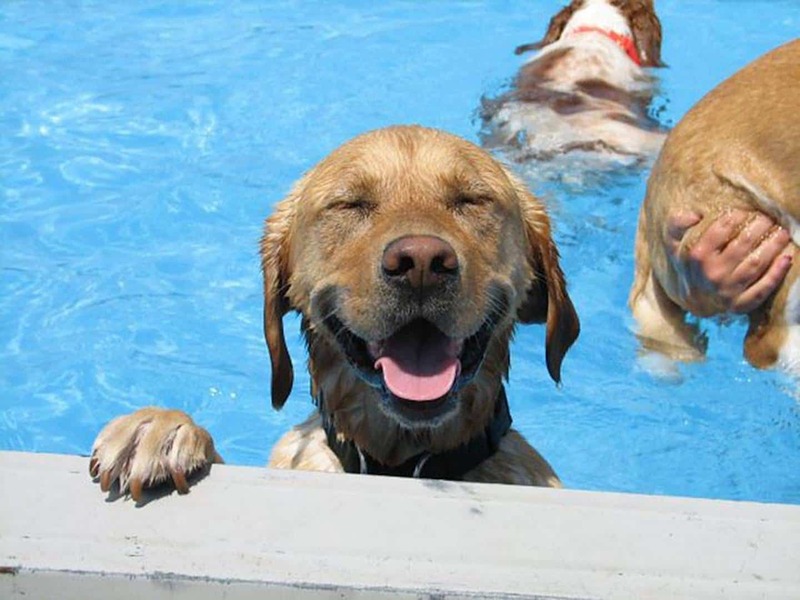 The Saltdean Lido Dog Swim 2018 sessions are for 1.5 or 2 hours, starting at 9:30 am with the last session at 3:30pm. Saltdean Lido Dog Swim 2018 Tickets are a very reasonable £7.50 plus £0.35 booking fee and human tickets are £7.00 plus £0.35 booking fee. Humans can also go along just as spectators for £3.50 + £0.35 booking fee which is a barking bargain! 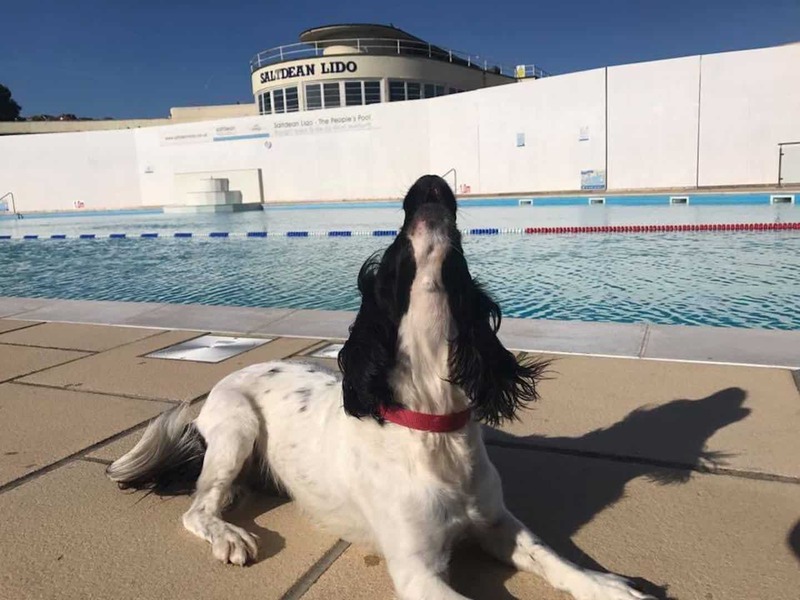 Get your Saltdean Lido Dog Swim 2018 Tickets here (search on Saltdean Lido and make sure to click through to the second page of the search results on the ticket website to see the sessions on the 16th). By public transport: Take the train from Victoria Station to Brighton (approx. 1 hr), then take the No.27 bus from Brighton Station to Saltdean (approx. 25 minutes) and it’s a very short walk to Saltdean Lido. This kind of initiative has been around for a while in the US so paws up to Saltdean Lido for leading the way in the UK. FOR MORE UPCOMING DOG EVENTS CHECK OUT THE DOGVINE LONDON DOG EVENTS CALENDAR! This looks awesome. What an amazing idea!